What brings you joy? For me, the simple act of sitting at a nice table and enjoying a delicious meal with my loved ones brings the greatest joy. And thus, I always like to end my weekends by eating a good hearty dinner with my significant other, friends, or family. It’s like a reward given by me to myself for conquering a long week and a way of pre-equipping myself for another long week to come. 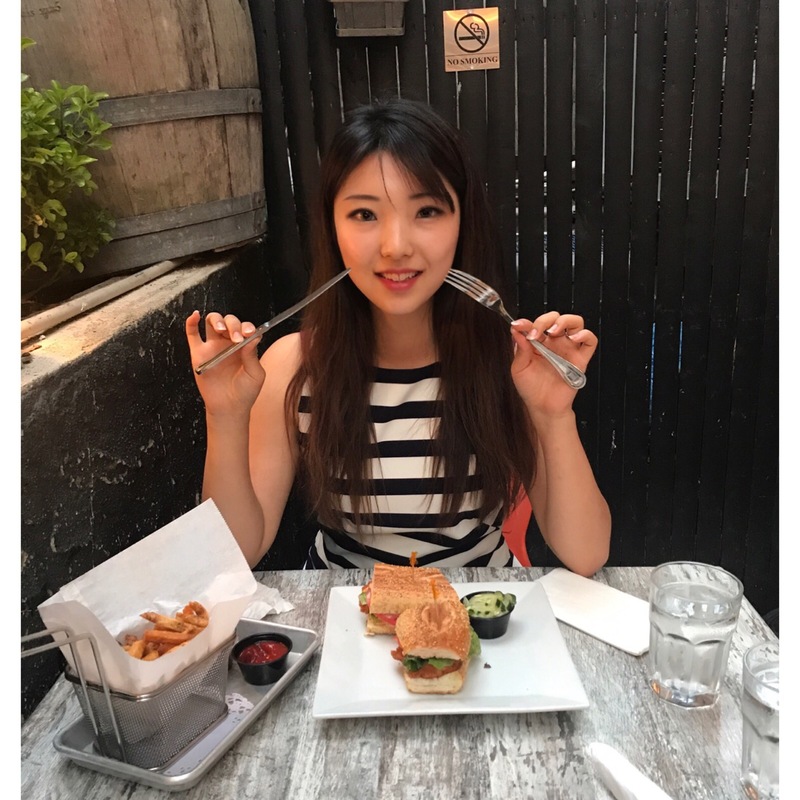 This Sunday, I decided to dine at Press 195-a quite small restaurant at the heart of Bayside, New York. It’s a restaurant that always pops up first in my head whenever I’m craving some good sandwiches or burgers. 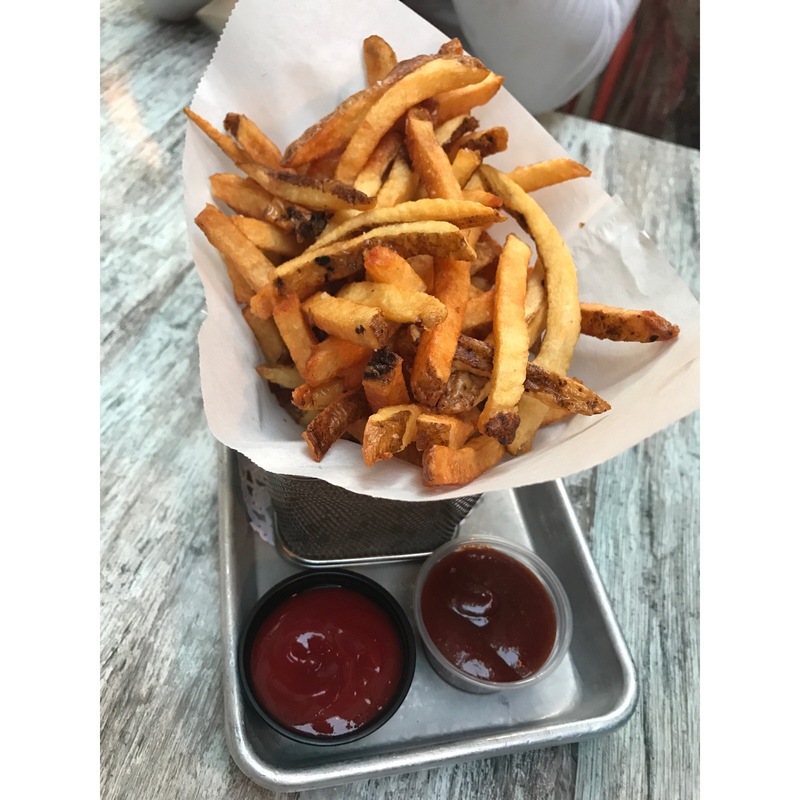 Their ingredients are super fresh and I just love the overall dining atmosphere, especially during the summer when they have outdoor seating. The light decorations create a calm and romantic ambiance. 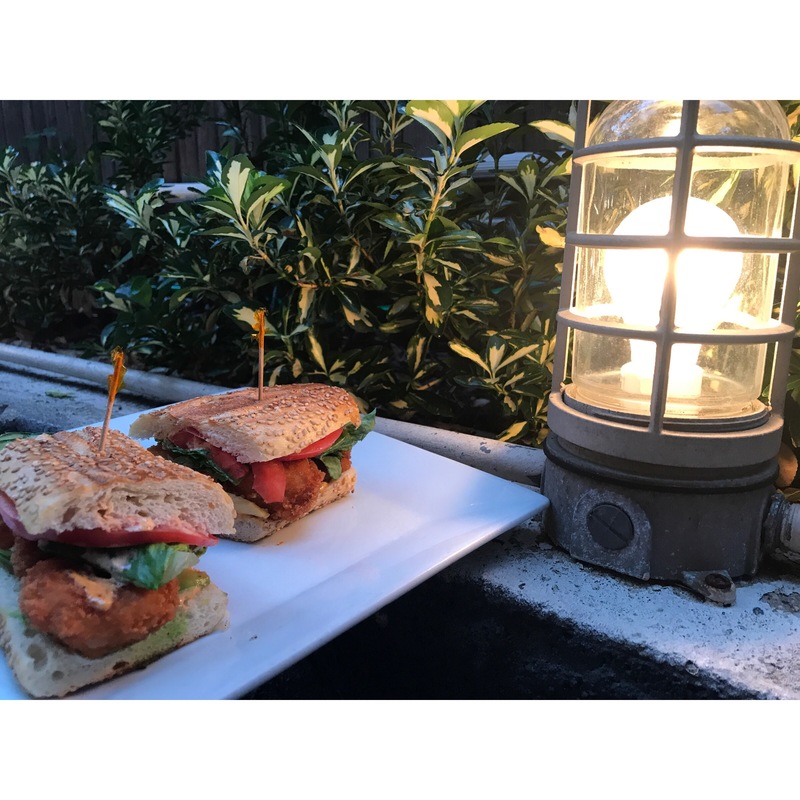 < FRIED SHRIMP PO’ BOY, $14> Hot press hero sandwich with fried shrimp, avocados, lettuce, tomato, and rémoulade. I ordered the Fried Shrimp Po’ Boy for myself. Press195 is known for their hot press heroes and panini sandwiches so if you’re ever near the area and get the chance to stop by the place, I highly recommend trying this sandwich. I’m someone who usually prefers to have meat in the sandwich but Press195 is one of those rare places that makes me find shrimps inside my sandwich very appealing. I don’t think anyone who comes to Press195 skips out on getting their Belgian Fries. I don’t know what it is but I can’t not get these fries even if I’m already full. They’re just ordinary french fries but they do their job perfectly on enriching the taste of the sandwich. You can also get their speciality sauces on the side to dip your fries (1 for $0.75; 3 for $2). My personal favorites are barbeque, chipotle mayo, and roasted garlic. THE NEW YORKER, $12 Hot pressed hero sandwich with pastrami, turkey, and cole slaw. BELL BBQ CLASSIC, $12 Hot sandwich with grilled bbq chicken and slices of fresh avocados, bell peppers, and cheese. THE HAWAIIAN, $15 Premium burger with grilled pineapples, Canadian bacon, and sliced onions. You get to choose your patty (beef, chicken, or black bean for those of you who are vegetarians). #50, $14 Hot press sandwich with grilled marinated steak, fresh Mozzarella cheese, red onions, and their homemade horseradish sauce. Sounds like a good place. I’m in NYC too! I may have to check it out. Like this place:) especially french fries with different sauces…!!! !